Welcome to my kitchen! I am a freelance event producer living in the south of France with my husband and our 2 dogs. As long as I can remember, I have been obsessed with food. In Louisiana, pretty much all we ever do is celebrate food. And at the base of all of that good Louisiana cuisine, is the french school of cooking. I have also been in love with all things french since I started learning the language at 4 years old. 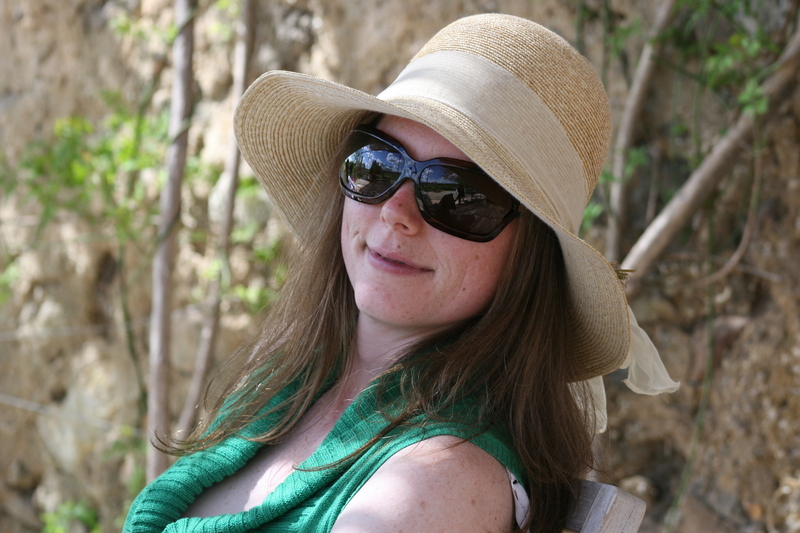 So it’s no surprise, to me anyway, that I married a French-American and we are now living the dream in sunny Provence. In our 3,5 years here, I have spent time with a personal chef, watched a lot of Cuisine TV and eaten at some amazing restaurants and in the homes of some talented french ladies. I have learned a tremendous amount already, my cooking has truly evolved, and I don’t think I have even scratched the surface. The good thing about food is that you never stop learning. This blog is designed for me to share with you what I do in my kitchen on a daily basis. If you are interested in fresh food, vegetarian food, raw food, home grown food and anything french, then come hang out in my kitchen… follow me.